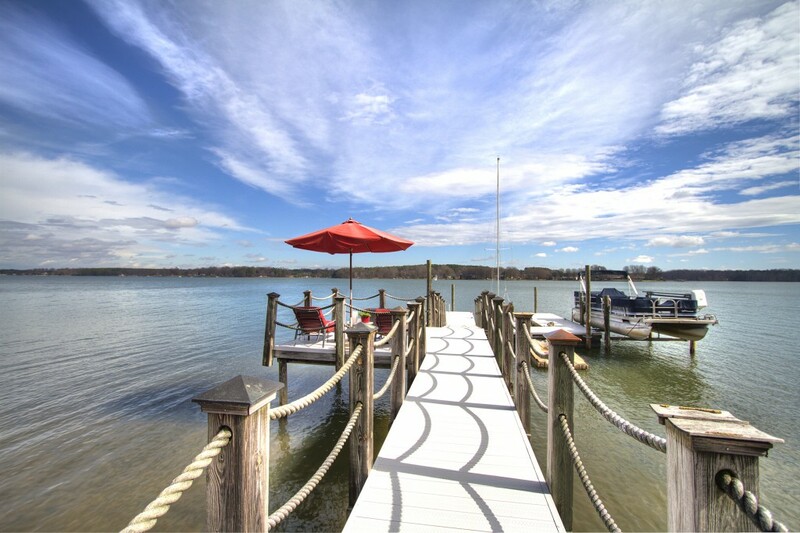 Lake Norman Home for Sale: 280 Shoreline Loop in Mooresville:Gorgeous waterfront property with unobstructed views of Lake Norman! This exquisite 3 bedroom, 2.5 bath home was custom built by the current owners and it has been meticulously maintained. Deep and wide views of Lake Norman with 180 feet of water frontage right at your back door make this a desirable home that wont last long. This home is priced at only $669,900 ! 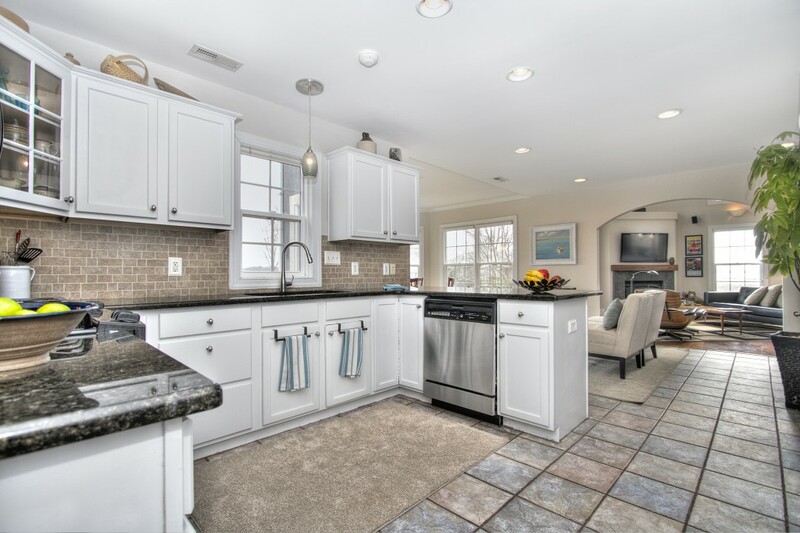 Your updated kitchen boats of granite counters along with stainless steel appliances, gas stove and elegant backsplash. 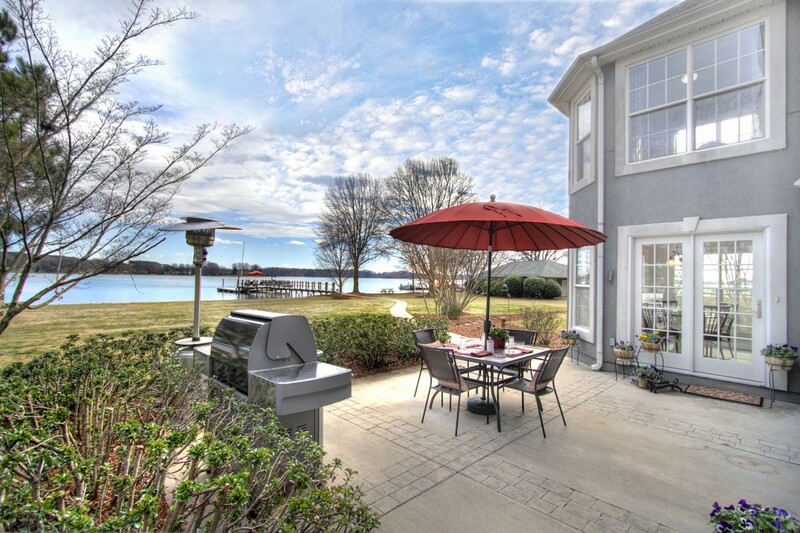 Enjoy cooking in your kitchen while looking at Lake Norman! Morning light pours in through your panoramic view of Lake Norman in your breakfast nook windows. Another spot to enjoy congregating with friends and family is your formal dining room with bamboo flooring and timeless millwork. This homes stylish and modern living room has Brazilian floors with abounding space and views of Lake Norman at every turn. Cozy up by your slate fireplace and bask in the sunshine while enjoying your surround sound. 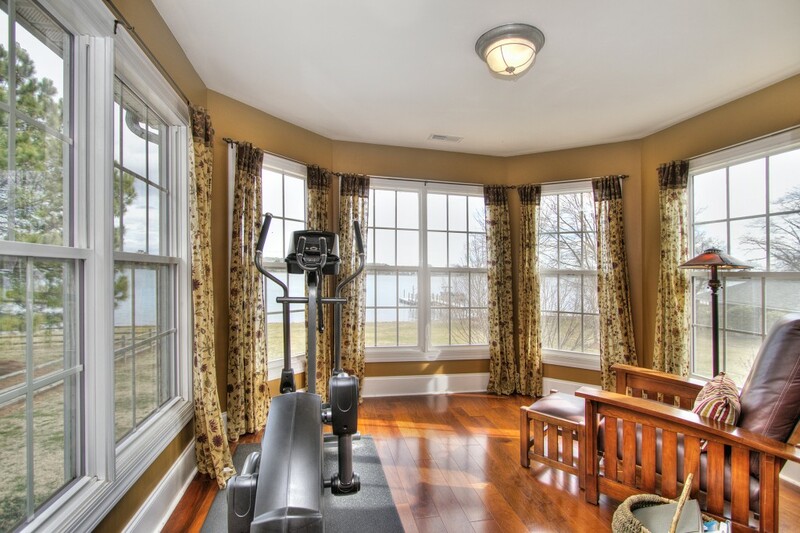 You also have amazing flex space down stairs that can be used in many ways and the room has a spectacular view of the lake! Captivating master suite with Brazilian hardwoods and priceless views of Lake Norman! Relax and enjoy the lake scenery from the sitting area of your master suite or in your bedroom. Your master bath was renovated in 2011 to give you updated features and custom appointments. Spacious, full glass enclosure shower along with garden tub, paint the picture of serenity. Custom tile work, dual vanities and hardwood floors in your master closet make this home a rare gem on Lake Norman. Generously sized secondary bedrooms have brand new carpet! Carpet is new throughout the upstairs of this home; this was completed in December 2012. Secondary bedroom has amazing flex space that can be used for an office or childs play area, this space is big enough to be another room in this house! 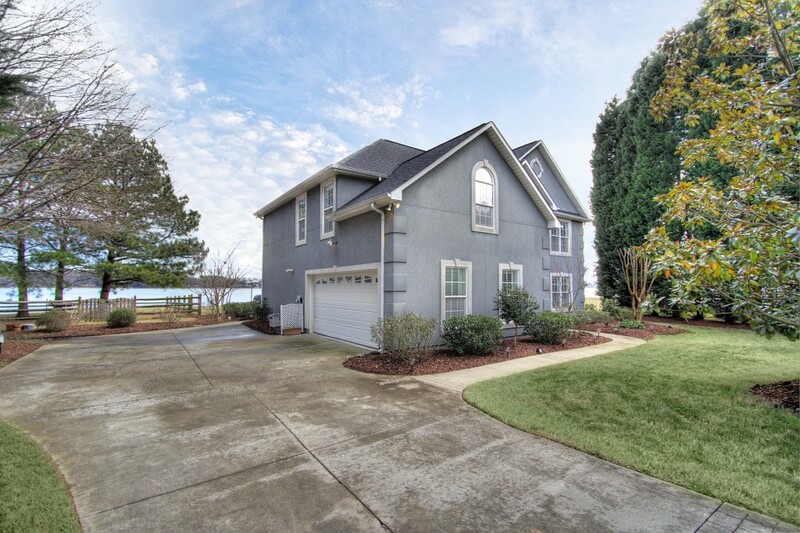 Your tranquil outdoor paradise awaits you with a flat, spacious front and backyard with ample room to entertain guests or relax and watch the sun rise on Lake Norman. Bask in the sun on your inviting patio along with your private dock; wonderful places to enjoy the lake scenery. Your floating dock, boat lift and jet- ski ramp give you the convenience of using your watercrafts with ease. The fenced in yard area is ideal for kids and dogs to play along with the perfect spot for a lazy day hammock nap in the trees! So many possibilities! This breathtaking yard with an amazing view of Lake Norman is professionally landscaped with an irrigation system in place. 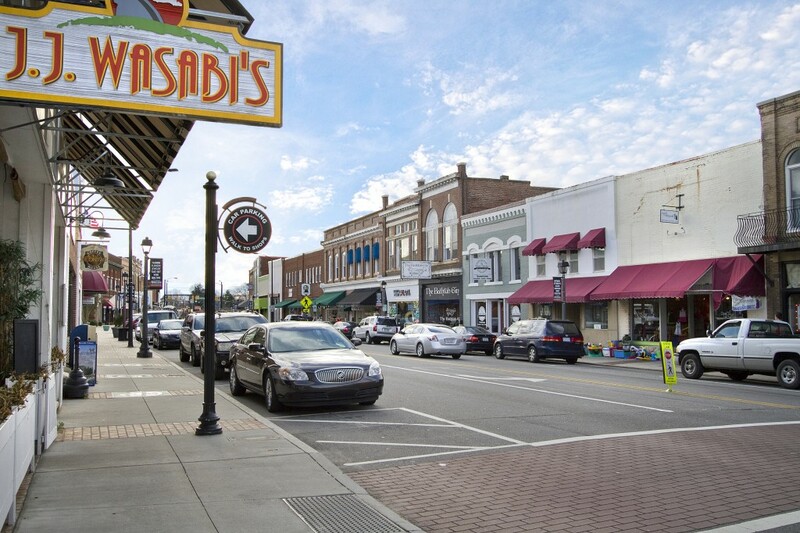 280 Shoreline Loop is convenient to highway access, shopping, restaurants and downtown Mooresville. This lovely home also has great Statesville-Iredell schools and low Iredell county property taxes. This desirable, well kept community has no HOA fees and is located down the road from Stutts Marina and Donald Trumps National Golf Club.